Remember a few months back when I announced I have a story in the upcoming Brave New Girls anthology? We’re just a month out from release, now, and today the editors revealed the illustration/cover page for the story! I’m excited about this illustration because I did it myself! And, man, was it hard on me. 😅 I used to draw quite a bit, but it’s been several years, and my body doesn’t like me using those muscles anymore. Super huge thanks to RoAnna Sylver for doing the inking (taking my pencil sketch and turning it into clean line art) for me, because there’s no way I could have managed it otherwise. Anyway, the illustration features a teenage Delia Randall, also known as Mama D from the Iamos Trilogy! The story is about her first meeting Bryn Torres, and how she got her job at GalaX that led to her becoming AresTec’s top engineer. It also introduces us to Johann Kimbal, founder of GalaX, who is vaguely alluded to in the Iamos Trilogy (namesake of Kimbal Tech, the university Scylla attends and Erick teaches at), and another character from the series also makes a very brief cameo. The story also introduces a key location that will feature in New World! It actually makes me sort of glad that New World got delayed by a month or two, since now it will be coming out after Brave New Girls, and I think it will be fun for people to be able to read this story first and then see how it connects to New World. 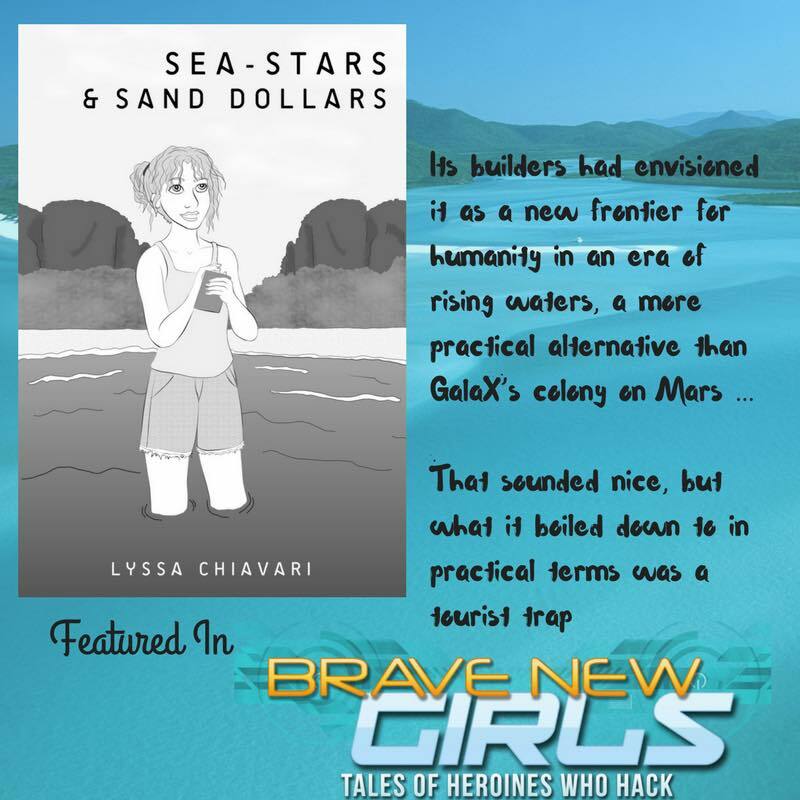 Brave New Girls: Tales of Heroines Who Hack releases on July 5! It’s available for preorder now on Amazon, Kobo, Barnes & Noble and iBooks! All proceeds benefit the Society of Women Engineers’ scholarship fund, so I hope you’ll pick up a copy!